When I first walked in to the Academy of the Arts, High Institute of Ballet, I had some reservations about the facilities and was honestly intimidated by the prestigious reputation and name. I have never been known for my technical prowess, but I am a passionate and strong dancer. Still at my age of 34. And I do pride myself on being a dance artist invested in areas of civil society. I bring dance to people in order to help with illness such as cancer, to help divided communities in places such as Belfast and Bosnia, prevent and reconcile conflict, reform education, build trust across religions and cultures, help the human development of teens, toddlers, leaders, professionals, and elders. To help people find new understanding of themselves and their crazy world. To help people find some joy and freedom. 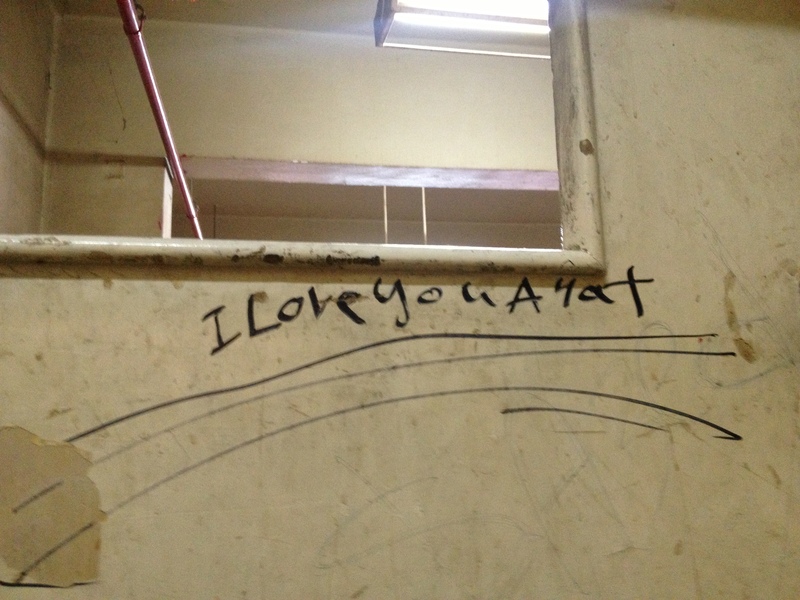 After three months of teaching here in Cairo, both friendships and pedagogical differences have surfaced. In November, I was told to choreograph a 30min modern dance performance for the students and to help them rehearse. The performance would be in December. A nearly impossible task given the circumstances. But we kicked into gear to make it happen. Then classes were unexpectedly moved to an hour earlier and a half hour shorter. Then I was told the emphasis should be THE EXAM and that the performance may be in January. Or not at all. I was frustrated. I admit it. But you see, the Ballet Institute itself is at the whim of the umbrella Academy and the Ministry of Culture. When they found out things, they let the staff know. And they put signs (in Arabic) all over the hallway walls in order to inform people. My Arabic was not nearly strong enough to follow developments. No other faculty member seemed concerned over these changes. I was the one having to learn to be much more flexible, more of a team player dealing with things as they come. A hard but good lesson. The faculty and administration are also not worried about safety, like in the U.S. Gun violence is of no concern. 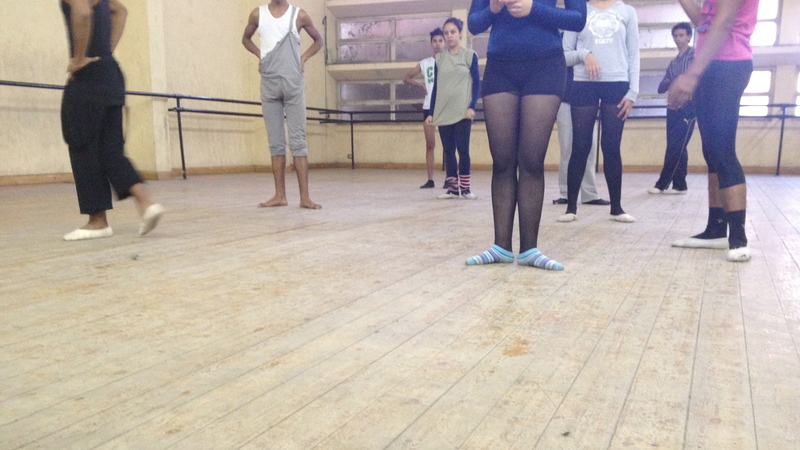 The dance faculty are also free from the major issue facing educators in Egypt…class size. With a population this booming, a class of 30-35 is a dream come true. Sometimes repetition and precise testing are the only ways to reach hundreds of students. Back to the Institute of Ballet. For THE EXAM, there are certain ways this is traditionally done here. The dancers are assigned places, with the strongest students in front to lead. The exercises should be well-polished, set to music, and require no cueing from the instructor. The students will be wearing numbers and a panel of examiners will sit at a table in front. Very Flashdance. Each semester, the technical exam is worth 50 points, for a total of 100 for the year. The students pass to the next level with a score of 70 or more for the year. My Fulbright grant only covers me teaching here for the Fall semester. So I wanted to have as big an impact as possible with the 50 points I was responsible for. I was asked to bring new moves as well as new thinking. So that’s what I tried to do. 5 points – Two writing assignments: a letter to me on how they feel dance is important here in Egypt after the January 25th Revolution, as well as a review or research on Alvin Ailey, Twyla Tharp, Urban Bush Women, BattleWorks, Hubbard Street Dance Chicago, Akram Khan Dance Company, or any modern dance organization in Egypt. Prior to this assignment, the students were unfamiliar with any of those names. 5 points – Class attendance, conduct, and participation. 5 points – Performance Routine we had been practicing for the performance that may or may not happen. And I made an actual rubric, breaking down each of those categories for the students to understand what I was getting at. Normally, I would like to create the rubric with the students, but time and resources were short. And there is no translator. Year 8 students in Modern Dance class at Egypt’s High Institute of Ballet in Cairo. And now THE EXAM is a week and a half away. Yes, what I am working on with the students is somewhat polished, set to music. But I have the dancers rotating lines with every exercise, so every student is responsible for being a leader at some point. I have faith in them. And I gave solos to students I saw as struggling but with potential to grow as a performer if they were pushed out of their comfort zone and into the spotlight. And there will be improvisation task. No, I will not give them the instructions a week earlier as co-teachers requested. It will be true improvisation and might completely flop. But the students and I been practicing with the structure, so I think they are up for the challenge. Cross your fingers. Yes, this will all be messy. Yes, it may not look too impressive to the examination panel. Yes, I have been (and might continue to be) openly criticized for not being a strict enough teacher and not pushing the best students. But it is my sincere hope that during my time here, I have had a great impact. That each and every student learned something. and finding a role for themselves as dance artists in an ever-changing nation. On a walls in the High Institute of Ballet. First – great post. Second – wow. I am certain you’ve had an incredible impact. It is precisely the anomalous that we remember. The person who urged you to be creative, helped you have confidence in your abilities and potential, who introduces vastly new concepts and experiences, this person could have an influence for years. When I think of teachers I had for less than a year, enthusiastic, special teachers, I know they had a strong effect on who I am, who I became. And how incredible to have to have worked within such a seemingly arcane system. I’m so looking forward to hearing how the exam went. I don’t know what the other teachers do, but it’s brilliant you’ve given them such a good chance at accumulating points for hard work and outside study in advance of the practical test. It could really affect their grade. Much luck to you. I’m rooting for your students! So looking forward to seeing you next month!